Ted Brader is Professor of Political Science at the University of Michigan, as well as Research Professor in the Center for Political Studies at the Institute for Social Research, and Faculty Associate at the Weiser Center for Emerging Democracies. He received his PhD in 1999 from Harvard University. His research spans many topics including the role of emotions in politics, the development of partisan identities, media effects on public opinion, experimental and survey methods, and how citizens make sense of a wide variety of political issues (e.g., immigration, globalization, terrorism, public health crises, natural disasters, claims of religious discrimination). He is the author of Campaigning for Hearts and Minds (University of Chicago Press, 2006). His research has been published the American Journal of Political Science, Journal of Politics, Public Opinion Quarterly, and many other professional journals. He has collected original data on citizen attitudes in Bulgaria, Great Britain, Hungary, Italy, Moldova, Poland, Russia, Sweden, and the United States. Brader is Associate Principal Investigator for Time-sharing Experiments for the Social Sciences (TESS). He has served on the governing council of the International Society of Political Psychology. In 2009, he received the Emerging Scholar Award from the Elections, Public Opinion, and Voting Behavior section of the American Political Science Association. Prior to becoming a principal investigator of the American National Election Studies (ANES), his work with the project began as a member of the ANES Board and Associate Principal Investigator from 2010 to 2013. 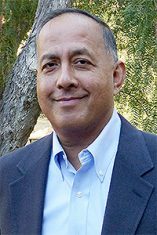 Shanto Iyengar holds a joint appointment as the Harry and Norman Chandler Chair in Communication and Professor of Political Science at Stanford University. He is also a senior fellow (by courtesy) at the Hoover Institution. His areas of expertise include the news media and mass communication, public opinion, and political campaigns. He is the author of Media Politics: A Citizen’s Guide (Norton, 2015); News That Matters (University of Chicago Press, 1987, 2010), Is Anyone Responsible? (University of Chicago Press, 1991), The Media Game: American Politics in the Television Age (Macmillan, 1993), Explorations in Political Psychology (Duke University Press, 1995), and Going Negative (Free Press, 1995). Iyengar’s research has been published in leading political science and communication journals including: Political Psychology, Journal of Politics, British Journal of Political Science, American Journal of Political Science and Public Opinion Quarterly. His scholarly awards include the Murray Edelman Career Achievement Award for research in political communication, the Philip Converse Award for the best book in the field of public opinion (for News That Matters), the Goldsmith Book Prize (for Going Negative), and the Distinguished Alumni Achievement Award from the University of Iowa. D. Sunshine Hillygus is Professor of Political Science and Public Policy and director of the Initiative on Survey Methodology at Duke University. Prof. Hillygus specializes in public opinion, political communication, political behavior, and survey methodology. She is co-author of The Persuadable Voter: Wedge Issues in Political Campaigns (Princeton University Press, 2008), winner of Robert E. Lane award, and The Hard Count: The Social and Political Challenges of the 2000 Census (Russell Sage Foundation, 2006). Her work has also been published in the American Journal of Political Science, Public Opinion Quarterly, Political Analysis, Statistical Science, Journal of Survey Statistics and Methodology, among others. Her research has been funded by the National Science Foundation. She is associate editor of Political Analysis, chair of the Advisory Committee for Public Opinion Quarterly, and has served on the Scientific Advisory Committee for the U.S. Census Bureau. She received her Ph.D. in political science from Stanford University in 2003. Daron R. Shaw is Distinguished Teaching Professor and Frank C. Erwin, Jr. Chair of State Politics at the University of Texas at Austin. Professor Shaw specializes in American Government, Campaigns and Elections, Political Parties, Public Opinion and Voting Behavior, and Applied Survey Research. He is author of The Race to 270: The Electoral College and Campaign Strategies of 2000 and 2004(University of Chicago Press) and co-author of Unconventional Wisdom: Facts and Myths about American Voters (Oxford University Press). His research has been published in The American Political Science Review, American Journal of Political Science, Journal of Politics, British Journal of Political Science, and several other professional journals. In addition to his academic career, Professor Shaw served as a strategist in the 1992, 2000 and 2004 presidential election campaigns. He is currently co-director of the Fox News Poll, co-director of the University of Texas/Texas Tribune Poll, director of the Texas Lyceum Poll, and associate Principle Investigator for the 2020 American National Election Study. He is also a member of the national decision team for Fox News, the advisory board for the MIT Election Data & Science Lab, the advisory board for the Annette Strauss Institute, and the editorial board for Political Behavior. Formerly, he served as President George W. Bush’s representative on the National Historical Publications and Records Commission and as one of the academic directors for President Barack Obama’s Commission for Election Administration. Nicholas Valentino is Professor of Political Science at the University of Michigan and Research Professor at the Institute for Social Research. He received his Ph.D. from the University of California, Los Angeles, in 1998. His research focuses on political campaigns, racial attitudes, emotions, and social group cues in news and political advertising. His current work examines the intersection between racial attitudes and emotion in predicting political participation and vote choice, as well as the sources of public support and opposition to immigration in the U.S. and cross-nationally. His projects have been supported by multiple research grants from the National Science Foundation. In 2005, Valentino received the Erik Erikson Award from the International Society of Political Psychology in recognition of exceptional early career achievement in the field of political psychology. His research has appeared in the American Political Science Review, American Journal of Political Science, Journal of Politics, Public Opinion Quarterly, Political Behavior, Annual Review of Political Science, Political Communication, Journal of Communication, Political Psychology, and many other scholarly journals.